Rare ranch floor plan! Mid century modern design! Spacious kitchen with white cabinetry, concrete counters, and stainless steel appliances! Extended hardwood flooring! Laundry room off the kitchen! Living room has a lovely stone fireplace! The family room is spacious and sunny with access to the outside patio! The master suite has a wood burning fireplace and private 4 piece bathroom with a large soaking tub! Oversized garage and extra concrete storage on the side of the garage for an RV or boat or extra car! 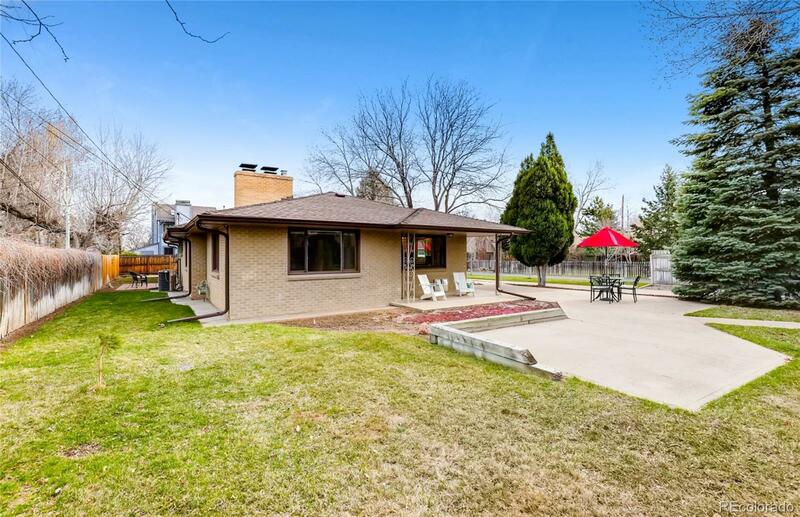 Very private, secluded lot, with mature trees and large front patio! Close proximity to Denver West and Colorado Mills where you can enjoy shopping, dining and entertainment! And quick access to mountains! Walk across the street to The Manning School and Maple Grove Elementary, highly sought after schools! This home is move in ready and superbly cared for!